This is the place to discuss all things related to the Leeds United v Swans - Championship game on Wednesday 13 February 2019. The referee for the game is David Webb. If you are going to the game have a read of our Travelling Jacks Guide to Leeds United's Elland Road. Have a browse of the Leeds United v Swansea City Head to Head Statistics. Looking forward to this one it's my home away game!! Anybody know if we can see match on red button on sky and virgin? No Asoro for me. What about Dhanda instead? A Fulton/Grimes partnership will be interesting to watch on the field of play against one of the better teams in the Championship. Any ideas on when Fer returns from injury? I would definitely go with the experience of Naughton at left back ( I actually believe he is better on the left than he is on the right). I would also stick with the Grimes/Byers combo in the middle particularly against a footballing side like Leeds. Chris - any recommendations on pubs to head to before the game tomorrow? Cadleigh it depends what your are looking for and how you enter Leeds. The Whit Hart was my local as a teenager and was and still is a dump!! None of the Pubs near the ground are really any good for away fans, I would keep away from Holbeck pubs (this is the area between Elland Road and Leeds City centre. A good one on the way to the ground from the train station is Northern Monk http://leedsbeer.info/northern-monk-refectory/ (it will take about 15 mins to walk to ground from here). Cheers Chris, appreciate all the work you've put into this. I'm staying in the city for a couple of days but none of my usual crew are coming to the game so I was wondering if there's one pub where Jacks tend to gather? We are apparently competing for the Daniel James Trophy - kindly sponsored by IPS Law. Not aware of one, however I believe there is a bar at the ground for away fans called Howards Bar (opens 2hrs before KO) and the Drysalters Pub (it is just further down elland road about 10mins walk away keep on past the Police HQ on your left and then under the bridge follow the road and it will be on your left) which I believe is usually a mix of home and away fans. I’m predicting an exciting match with a smattering of goals. The score is a tough one to call but 2-3 would do me. Grimes has been playing out of his skin, in midfield. Why move him to full back? McKay owes us a 90 mins game. Love him to bits, but Potter don't half fcuk about sometimes. This has all the hallmarks of the Wigan game. That says Connor and Naughts full backs to me. ?? 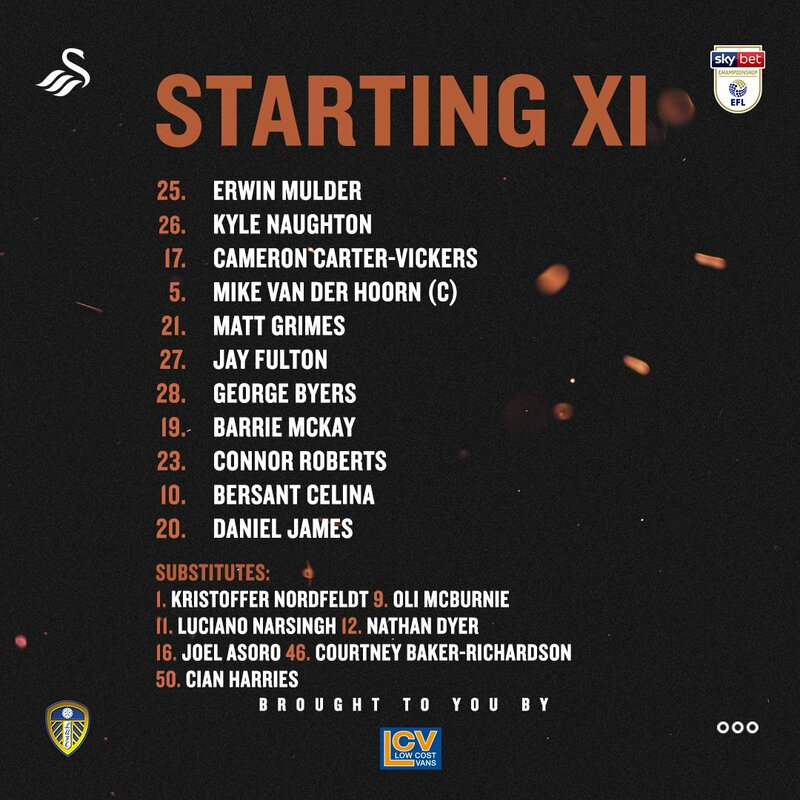 Grimes at left back with Connor ahead of Naughts. So WTF do I know? dont like Grimes left back personally.